Jeremy Thomas is an inspirational speaker focusing on good mental health. After an inglorious start in the advertising industry, he joined Decca Records as a record plugger working with the likes of Jackie Wilson, Thin Lizzy, The Moody Blues and Judas Priest. Jeremy went on to successfully run record labels until episodes of undiagnosed manic depression nearly took him out of the business. Through perseverance, good medical help and support from others, he recovered and continued to work in the business until the mid-90s. A ‘road to Damascus’ moment led Jeremy to change careers and become a writer. After a series of rejections, finally a Hollywood producer bought the rights to one of his stories. This enabled him to move to Patmos in Greece and write his first novel ‘Taking Leave’. The process of writing for several years, not only produced the book, but cemented Jeremy’s commitment to helping others suffering from mental ill health. Soon after, he re-connected with his friend Dr. Tony Hughes and they co-wrote ‘You Don’t Have to be Famous to have Manic Depression – the A-Z Guide to Good Mental Health’. Jeremy and Tony then co-produced the Emmy award winning documentary ‘Stephen Fry. The Secret Life of a Manic Depressive’. From there Jeremy went on to write another three novels, notably The Santa Monica Suicide Club. He has also become established as a leading speaker on mental health to companies, professional organisations, the public sector, schools and colleges. To date he has delivered talks to some 25,000 people on a theme of How to Stay Sane in an Insane World – How to Stay Mentally Fit. 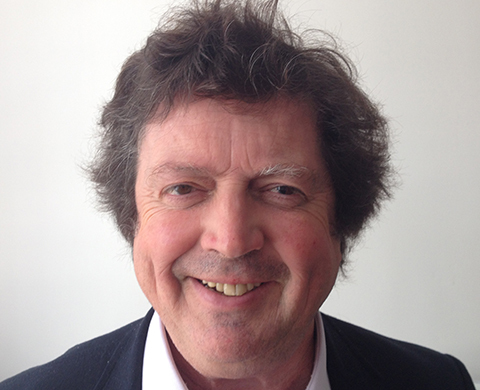 He has also written articles for the Times, Daily Mail, Daily Telegraph and has appeared on BBC Television and Radio. The fundamentals of Jeremy’s talks and workshops are authenticity, humour and practical solutions. He is a firm believer in the concept that, in order to make an omelette, you have to break eggs. By recounting his own story and unpacking a tool kit of coping strategies, Jeremy ably demonstrates that prevention really is better than cure. The main aim of his work is to normalise the subject of mental health, replace any stigma with a sense of fun and make the subject accessible and something to be embraced. Milos Forman, Film Director ‘One Flew Over the Cuckoo’s Nest’, ‘Amadeus’.